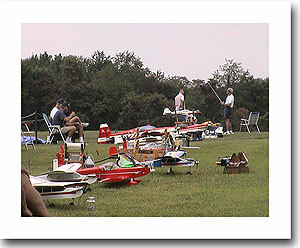 The Keystone Clippers is a model airplane club, dedicated to building and flying radio control aircraft. The club has been in existence since the 1960's. The current flying site, was located and developed by a small group of devoted modelers. After leasing the property for several years, it was purchased. The field is approx. 10 acres. We have 2 runways. The main runway is about 800 ft (east-west) and we also have a 250 ft cross runway. The field is located about 1.5 miles from Rillton, Pa., which is near the town of Irwin. (see map for location). Instructors are available, to help new members learn to fly. Our monthly meetings are held on the last Monday of the month.